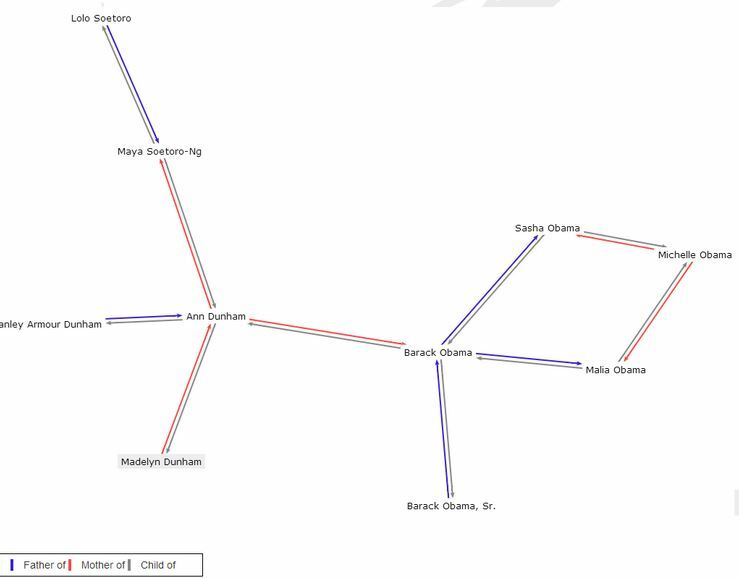 GeneaWiki is a tool created by Magnus Manske to visualize the family of a person using data pulled from Wikidata. I used the GeneaWiki tool as an example use of Wikidata in a presentation a year ago (2014) and below you can see the screenshot I took from it. 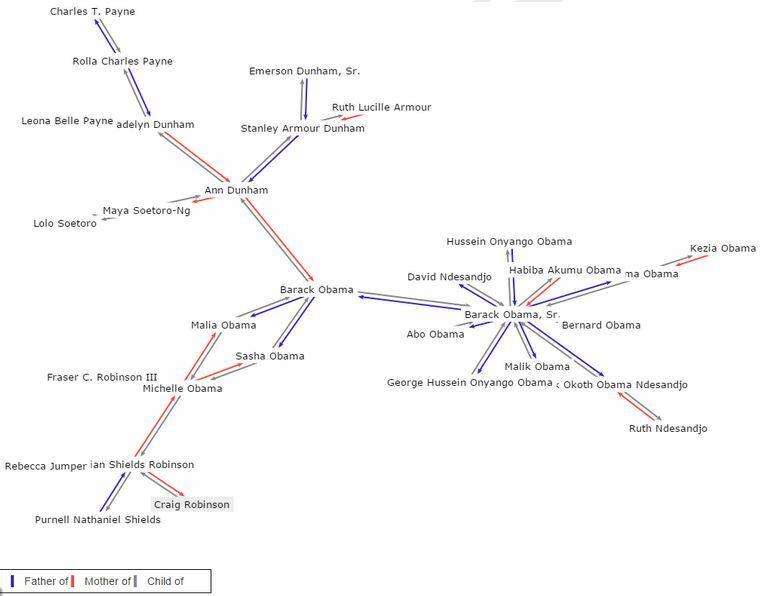 It shows 10 people in Barack Obamas family tree / web. When creating a new presentation this year (2015) I went back to GeneaWiki to take another screenshot and this is what I found!